A regular dental checkup is vital when it comes to keeping your gums and teeth healthy. In order to ensure this, you need to visit your dentist regularly, say once for every six months, or sooner as specified by your dentist. Most people do not like to employ a preventive approach to health care and only visit medical practitioners when things go wrong. However, this is a dangerous way of dealing with your oral health as the food we eat every day leaves our teeth and gums exposed to bacteria that develops from the decay of food stuck in the mouth. If you skip regular dental checkups for any particular reason, it’s important to take a look at the risks involved. You could miss one checkup and find yourself paying more money later on for a corrective procedure. The gums are very sensitive, and the buildup of plaque and tartar can affect them significantly. This does not only lead to tooth decay but can also cause an infection at the point where the tooth and gums are connected. This infection is often called gingivitis and becomes worse as the tissue that keeps the teeth in place is weakened. Gingivitis is a mild form of gum disease and when it becomes worse, you will experience swelling, bleeding and soreness in the mouth. This infection does not only affect the gums as it breaks down the bones that hold the teeth in place. This can lead to loosening of the teeth and some teeth may even start falling out. Once gum disease gets to this point, a dentist will have to take drastic action to treat the condition. Gum disease can affect anyone since it is caused by the buildup of food particles in the mouth and no one is entirely safe from it. Going to a dentist for check ups can help you to detect this disease while it is still in its early stages. The best way of preventing gingivitis and gum disease is by exercising proper oral care and keeping your teeth and gums clean. Some habits are bad for our oral health. The funny thing is that we may not realise the impact these habits have on our health. Examples include crushing ice, biting nails and grinding teeth, eating sweets and smoking among others. Most of these things are habits we partake in on a daily basis, and you won’t know if they are affecting your oral health without going for a checkup. A dentist can check for any damage to your teeth when you go for a checkup and advice you on what to do and what habits to avoid. It is good to be informed about some of these destructive habits that you might have been oblivious to so that you can tweak your lifestyle and avoid damaging your teeth further. Most of the problems affecting our teeth are visible on the surface, and you can even notice them by just looking in the mirror. A major part of visiting a dentist every six months is getting your jaw and teeth x-rayed so that they can identify what is happening beneath the surface. Some common problems include impacted teeth as seen with the wisdom teeth that may be painful when they emerge. You could also be suffering from jaw injuries and bone swelling among others. All these things are hard to notice without an x-ray, and they could be the cause of other problems with your teeth. 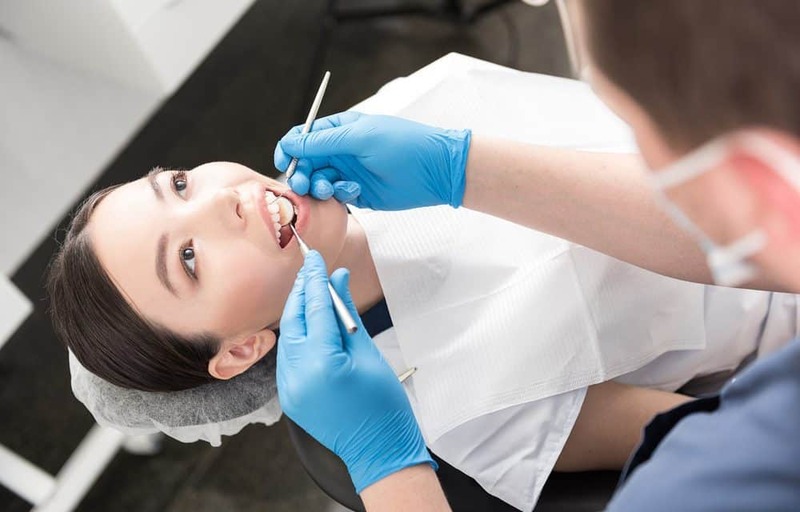 These problems with the jaw and tooth structure are major issues, and a dentist can recommend the best corrective procedures for treating them as soon as possible. It Is Good For Your Overall Health. There is a strong connection between good oral health and an individual’s wellbeing. Do not be mistaken and think that your oral health does not affect other elements of your overall health. Your body organs are connected, and a problem in one part can easily lead to issues in other parts of the body. Visiting a dentist regularly will not only maintain your oral health, but also reduce the risk of other serious health problems. You will live a healthier and happier life. A dental checkup is good for you, and it involves two parts – the checkup and the cleaning. The checkup phase involves looking at the condition of your teeth and gums plus the tongue, throat, face and neck. The dentist will also clean your teeth professionally and remove tartar that cannot be eliminated by regular brushing. Oral health is all about taking care of your teeth and gums between the visits and brushing at least twice a day. Use mouthwash to control the bacteria and keep your breath fresh.